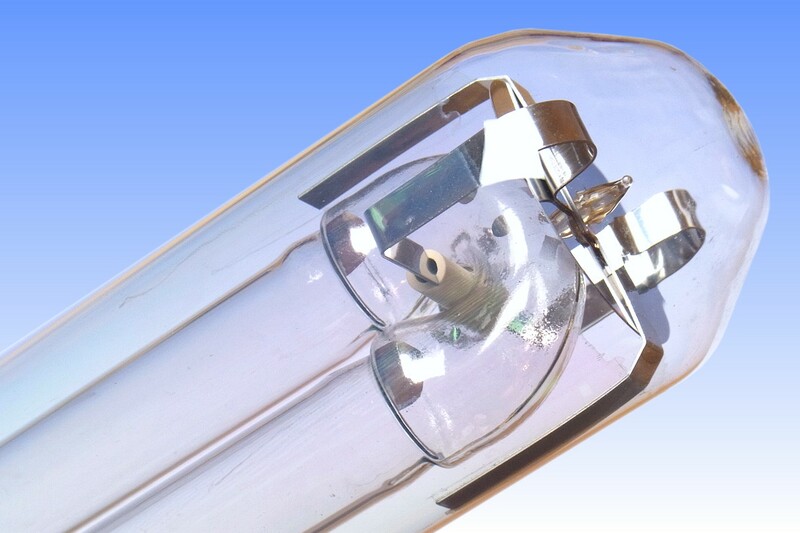 Osram-GEC's Low Pressure Sodium SOX lamps underwent a number of design changes over the years, and this lamp is representative of the company's 4th generation design. 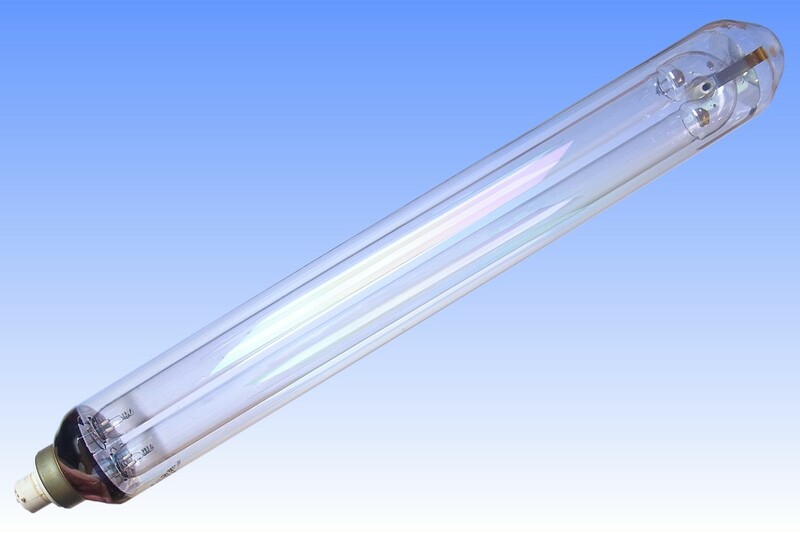 The first generation lamps from 1964 employed a heat-reflective coating of tin oxide and had dimpled discharge tubes. 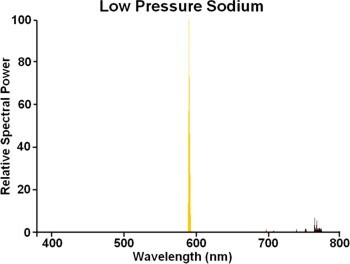 These were superseded in 1967 by the 2nd generation design in which the IR coating was changed to the superior indium-tin oxide. 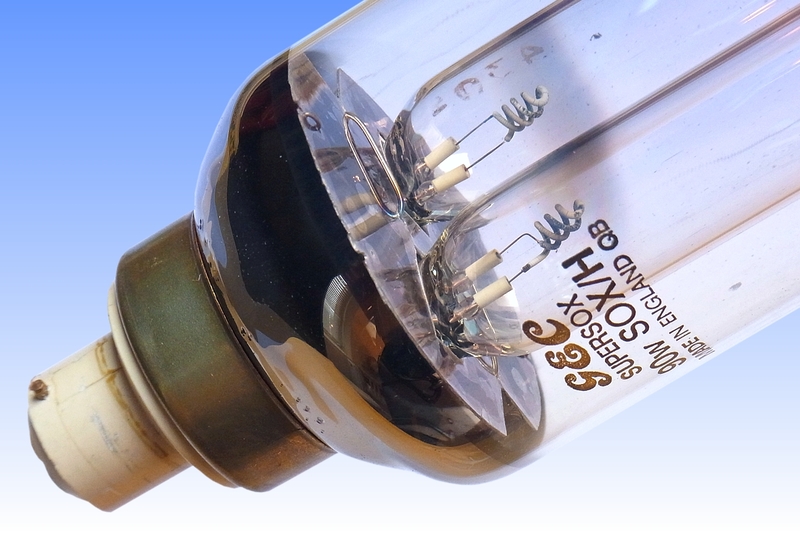 Before 1969 the 3rd generation lamps had been introduced, in which the dimples were eliminated and replaced by ring-shaped sodium reservoirs around the U-bend. In parallel a new top support was introduced to yield a mechanically more robust design, in which the U-bend was held on an electrically insulated tube of steatite ceramic, and a large mica disc was provided to offer some thermal insulation and reduce heat losses in the area of the U-bend. 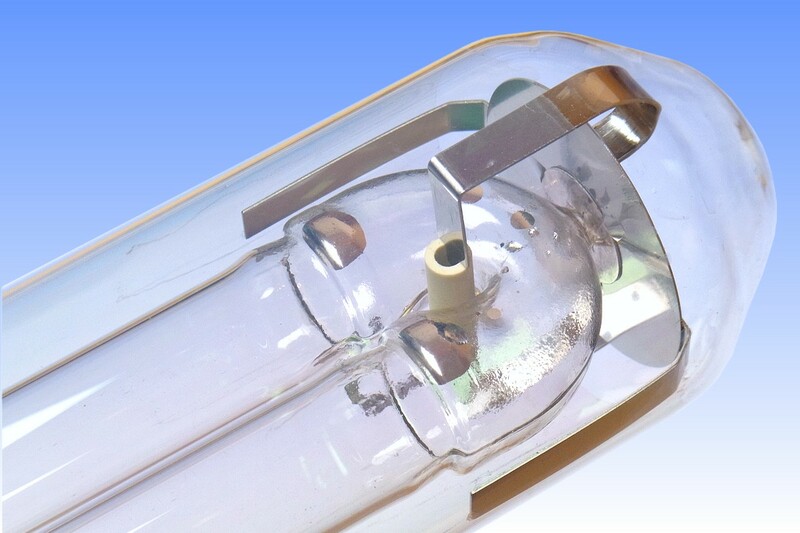 This lamp is representative of the 4th generation design, which is believed to have been introduced soon after Philips' development of the 18W SOX lamp in 1977, in which the importance of further improving heat insulation at the U-bend became apparent. The major design change in this 4th generation lamp is the introduction of a nickel plated steel disc at the dome end of the lamp. The mica disc of the earlier lamps is still retained but its diameter is reduced since it no longer performs any thermal role. It serves only as a mechanical cushion to prevent scratching of the delicate tip-off area by the metal disc. 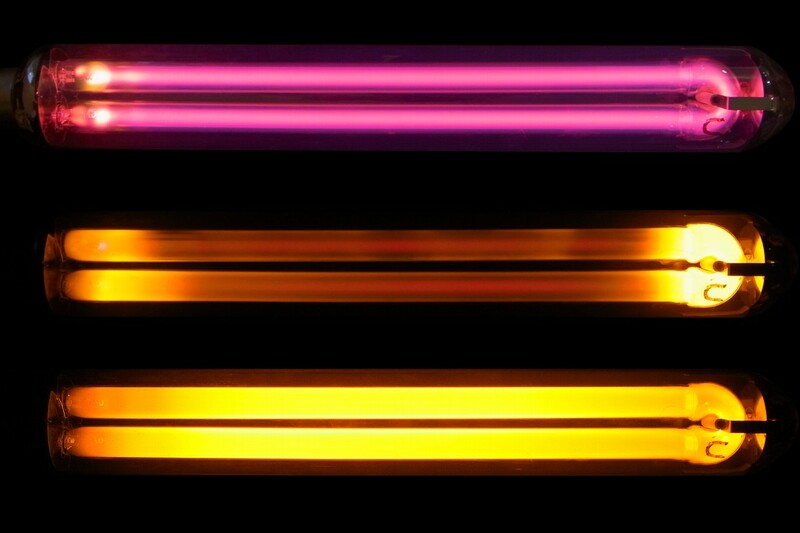 In parallel, the metal fingers of the top support which engage with the outer bulb have been extended in length so as to prevent accidental tilting of the metal disc, keeping it perpendicular to the plane of the discharge tube for optimal heat reflection.